Foodservice events can get pretty hectic; keep plates fully stocked for pure customer satisfaction. myBoelter offers different size drop-in plate dispensers to accommodate your needs, regardless the plate size. 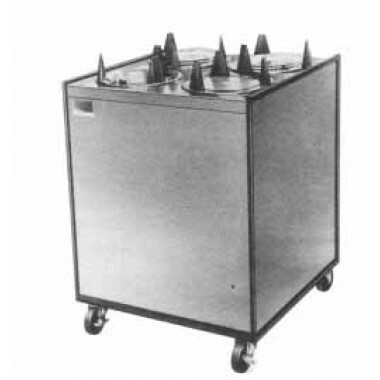 Both heated and un-heated plate dispensers come equipped with wheels so they are easy to transport from place to place. Use heated plate dispensers to help keep food warmer for longer! Plate dispensers are essential for any well organized and efficient buffet line.